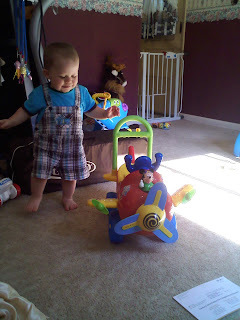 Preston loves this toy airplane, and played with it constantly. They can't wait till he can push himself around while riding it. 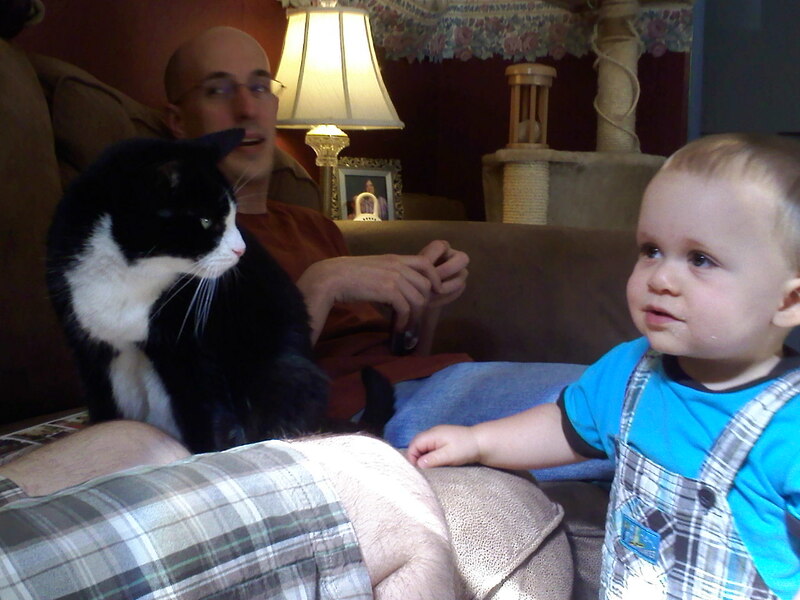 He is fascinated with the cats and Dustin. He especially likes pulling leg hair. 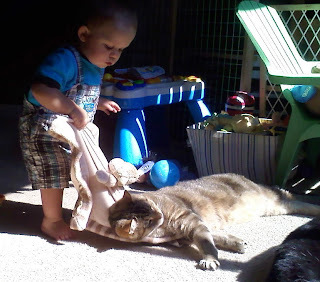 No Kitty, my blankie. Jasper is digging in hoping Preston will give up, but Preston wins and the blanket is back with its rightful owner...poor Jasper. This weekend we have big plans! They start with heading to Tony and Sammi's today. We'll visit and eat (and drink) and hopefully play some games. It sounds like Dave might even be able to make it. 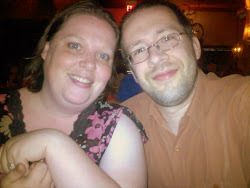 We haven't seen Dave and Elizabeth in forever! It will be great to catch up.